The comprehensive actuarial study is the cornerstone of an actuarial analysis of a CCRC. This study determines whether or not: (a) the cash and reserves held by a CCRC are sufficient to cover its future contractual obligations to current residents; (b) the combination of monthly and entry fees charged to new entrants covers their expected lifetime costs; and (c) projected cash flows are positive and will meet any financing covenants or regulatory requirements. 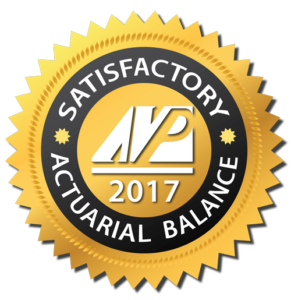 If the results of the study show that the CCRC meets all three of the preceding conditions, then we are able to certify that the organization is in “satisfactory actuarial balance” as defined by the American Academy of Actuaries ASOP No. 3 for CCRCs. The Board and management of CCRCs use the comprehensive actuarial study as a guide to make annual fee adjustments and to measure the solvency of their organization. The results from a comprehensive actuarial study are often summarized and shared with residents to assure them of the financial health of the CCRC and to educate them on the reasons and assumptions used to determine fee adjustments.